Cisco has released new developer capabilities across its intent-based networking platform in a bid to underpin continued efforts to deliver an open, programmable platform across the entire network. Intent-driven networking uses machine learning to automatically enforce security policies and maintain network state, and has been talked up by Cisco for some time. In June last year, the networking vendor released a series of hardware and software capabilities that it said use machine learning technology to provide advanced network automation. Intent-based networking was also the dominant theme at the Cisco Live event in Melbourne during March, and underpinned several announcements at the event. At its Cisco Live event in Florida, which ran from 10-14 June, the vendor said it was releasing new developer tools and open application programming interfaces (APIs) into Cisco DNA Center, the network monitoring dashboard for managing Cisco DNA products and solutions. 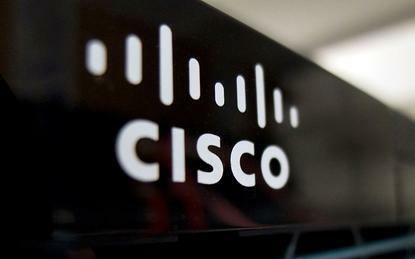 “DNA Center turns the network from a combination of hardware devices into a single system,” Cisco said in a statement. “With the availability of network-wide APIs, Cisco now allows developers to easily program this system, tapping into all of the analytics and insight the network can provide. To date, 15 Cisco partners have built innovative solutions on the DNA Center platform, demonstrating them at Cisco Live. "Intent-based networking represents the next generation of open, IP-based systems that we've seen can change the actual fabric of society," Cisco’s networking security business executive vice president David Goeckeler said. "Cisco is building an open architecture that will power an ecosystem to accelerate intent-based networking innovation. Already, our customers and partners are creating value from their networks in ways they thought weren't possible as recently as one year ago,” he said. The new developer capabilities come as the vendor reveals that its DevNet developer program, which was founded in 2014, now has 500,000 registered members. "That’s a pretty cool milestone, but what does it mean? It means that we've hit critical mass with a developer community who can program the network," DevNet CTO Susie Wee said at the Cisco Live event. "Our 500,000 strong community is writing code that can be leveraged and shared by others. “DevNet is creating a network innovation ecosystem that will be the hub of the next generation of applications and the next generation of business,” she said.